Our special packaging process is part of what sets Green Virgin Products apart from every other company in the industry. All of our Moringa oleifera products come in a high-tech, three-layer, re-sealable pouch that blocks out all light to completely prevent photo-oxidation. We add our special oxygen absorber to every package before completely vacuum-sealing the package to remove any oxygen. This process is why your Moringa Ultimate Powder arrives with a beautiful, green glow. Amazingly, Green Virgin Products is the only company that takes the time to package it correctly so that it is as fresh as the day we packaged it. We know you’ll appreciate the difference when you see how fresh our product looks and smells when you open the special three-layer pouch for the first time or the thirtieth time! To make sure you get the purest Moringa in the world, we have the most advanced six-step process in the industry to ensure the quality of all our products when they arrive on your doorstep. And yes, we’d love to walk you through them all! 1) We start by only using Moringa Oleifera that is naturally wild-crafted among the tropical climate of the Philippines. Our crops are grown on a mountain top far from any cities, villages or farms. Moringa grown in the USA simply does not achieve the same quality and potency as trees in tropical climates. 2) We use an exclusive high-tech, temperature-controlled, far-infrared drying system to make sure our product is dried to perfection in a few hours instead of days or weeks. We would never use the shade dry method which encourages mold, mildew and bacteria growth. This technology allows us to achieve the lowest moisture content (3.44%) of all Moringa powder. Infrared drying also completely eliminates bacteria, mold, and mildew. 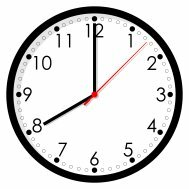 3) We harvest and completely package our products within eight hours. You have a very limited amount of time to avoid deterioration with it once it is picked from the tree. Mold and mildew don’t stand a chance against our process. All our Ultimate products will preserve all their nutritional and prophylactic properties for the longest possible shelf life. 4) We put a special oxygen absorber into every one of our exclusive three-layer packages to completely prevent oxidation from oxygen and light (oxidation destroys nutritional value). Plastic does not block out light and plastic containers (pill bottles) are not vacuum packed with an oxygen absorber inside to prevent oxidation, it will be ruined before it is even opened. 5) All our Moringa leaf products are now Certified Kosher and Halal. Only about 15% of people that buy Kosher Foods do so for religious reasons. Kosher foods are held to a higher standard when it comes to cleanliness, during processing, especially insect contamination. 6) We use recycled boxes and newspapers for packing material to pack all orders with precision and care. Each shipment is packed to be secure until it arrives in your mailbox or on your doorstep. We ship within one business day, generally the same day. Shipping is even free for orders over $50. Our goal is to get your order to you as fast and fresh as possible! You will notice the difference immediately when you open your first package. And if you’re trying it for the first time, you’ll be spoiled by the finest product in the world right out of the gate. We apologize in advance… because you won’t be able to find a product that compares anywhere else, but we’ll be here. We’re working hard to improve our process again tomorrow and we’ll be happy to ship you out another package. The Moringa oleifera tree is known the world over as the Miracle Tree. It packs more nutrients and provides more benefits to the human body than perhaps any other plant on the planet. Many of its by-products, like Moringa powder from the leaves, have garnered attention from scientists around the world for their amazing health and wellness benefits. There are more vitamins, minerals, proteins, antioxidants, and amino acids combined into one plant than any other food. For centuries, the plant has been used for a healthy, natural source of daily energy and to treat many health issues all around the world. At Green Virgin Products, we were struck by the power and impact of this miracle tree on communities around the world. We recognized a real need for high-quality Moringa in the United States. But there were just two problems. First, it can grow just about anywhere, but the best quality in the world is, without a doubt, grown in tropical climates. It makes a big difference. Without the optimal growing conditions here in the United States, we started work on sourcing it, but ran into the second problem. All the Moringa being imported into the United States is oxidized. Just think about the last time you left an apple out, and how quickly it becomes brown. 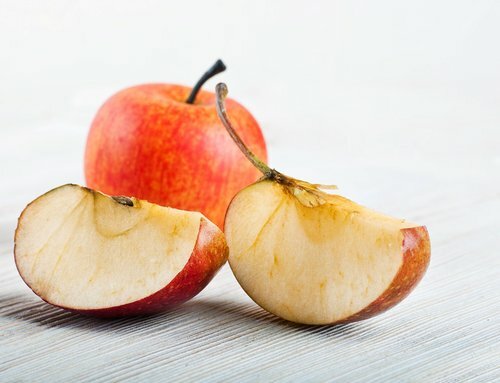 The apple turning brown is caused by oxidation. Oxidation is caused by exposure to oxygen and light. Moringa is also very susceptible to oxidation. It’s important to know that oxidation does not just cause a color change. It is also devastating to the nutritional content of the moringa. Our team went to work with scientists and growers for months to find the most effective and practical method to cultivate, process, and package it. After countless hours of research, we perfected our final method, so that we could deliver the freshest possible product from the finest sources in the best climates around the world direct to your doorstep here in the United States. There is no doubt that Green Virgin Products Moringa is by far the highest quality in the world. You can rest assured that when you buy from us, it will be as fresh and as potent as the day that it was picked. 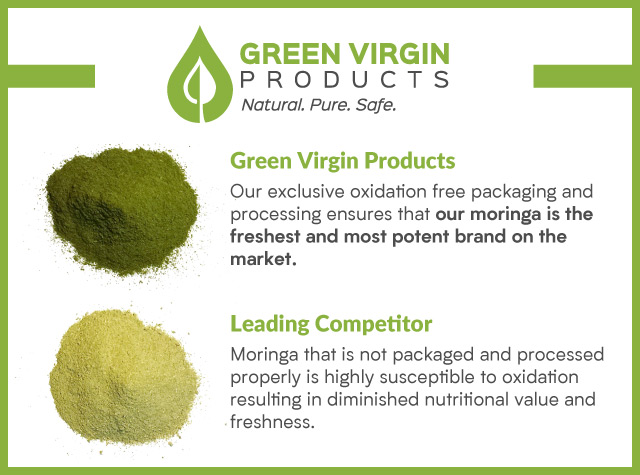 We are the only moringa seller in the USA that takes the time and effort to use oxidation free packaging. This ensures that our moringa is the freshest and most potent moringa you can buy. As we researched the many benefits of this plant, we realized there were many different ways that it is used and consumed around the world. 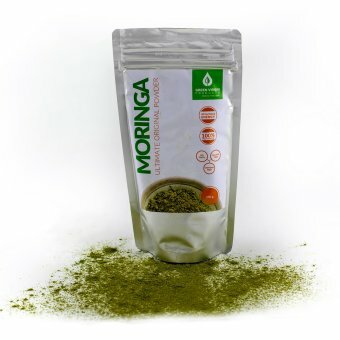 We wanted to offer a great variety of the best options we’ve found, all so our customers could get the freshest Moringa delivered directly to their doorstep in the form they preferred to enjoy it. Our original and most popular product is the 100% Moringa leaf powder. We also offer our new exclusive Micro-Fine Powder now. Moringa powder is probably the most popular way to consume it because you can put it in just about anything. From shakes to soups to salads, and what-have-you, this potent powder adds a healthy kick to your favorite meals and snacks. One of the easiest ways to add a daily dose into your diet is to mix a teaspoon into a glass of water, fruit juice, tomato juice or added to a smoothie. As our powder became more popular, many customers asked for an option to buy our powder in capsules. It was a natural expansion of our line so that it became even easier to enjoy the benefits in a simple capsule. 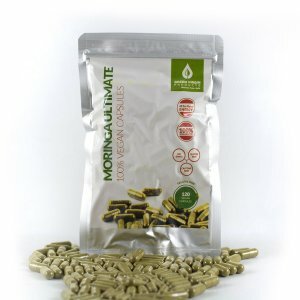 We wanted to make sure we delivered capsules that appealed to all our awesome customers and added 100% vegan capsules. Since their release, the moringa capsules have been a hit, and we often hear about how it’s even easier to enjoy on the go. We certainly understand and we must confess we personally use the capsules for the same convenience. Almost all moringa sellers just put some of their oxidized powder in tea bags. Moringa tea made that way does not taste very good so you need to add a lot of sweeteners to cover up the unsavory taste. We use a secret proprietary Japenese process to remove bad flavors from our tea. This process does not add coverup flavors or diminish the nutritional value of the moringa at all. The result is the best tasting and most potent moringa tea available anywhere. It’s a real treat with a little honey and a cookie. Even young children will be asking for it. 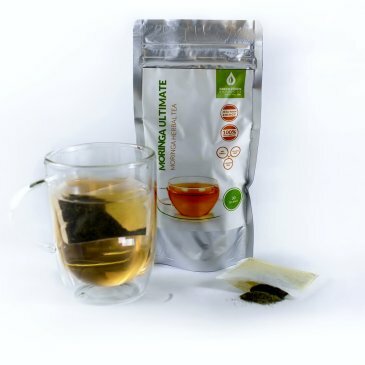 Our tea is a fantastic way to get a daily serving of Moringa. In just a few days, most people feel the difference from our fresh, crisp tea. Just one serving provides more nutrition than you get from a multivitamin. Moringa is a vegetable and your body is able to absorb all the nutrition in it. Most vitamins are artificial and your body can not absorb them. Moringa has been proven to nourish and strengthen your immune system too. It helps maintain healthy glucose levels and delivers natural anti-aging benefits. The natural combination of powerful nutrients promotes healthy digestion. Whether hot or cold, our Ultimate tea is the freshest and tastiest way to add the litany of daily benefits to your health. Make a hot cup of Ultimate tea every morning to replace your daily cup of coffee and feel the instant benefits to your mood, energy, and focus. Moringa Oil has been used for thousands of years dating back to the Pharaohs of ancient Egypt because of its many unique properties. The first, and most interesting, is that this oil never goes bad. It is the only known oil in the world that never gets rancid. That fact alone speaks to the special anti-aging properties of this plant. Pure moringa oil is extremely rare and is one of the most counterfeited oils. 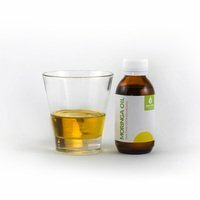 We buy our 100% pure cold pressed moringa oil directly from the farmer. From general skin care to relieving the itch from a bug bite or sunburn, daily use of this oil is one of the best things you can do to maintain healthy, beautiful skin. It heals cuts, scrapes, burns, warts and strange growths from your skin. It is proven to reduce fine wrinkles making your skin look younger and healthier. That’s why it’s a common ingredient in the expensive skin care creams you see promoted by famous actors and models. The oil even works as a fantastic conditioner for damp hair as well. We want our customers to enjoy the multitude of health and beauty benefits of Moringa oil without spending hundreds of dollars on a tiny jar of cream or miniature bottle of conditioner. The last products, but certainly not least, added to our Ultimate line are the soap nut and Moringa bar soaps. As part of our overall mission to provide the best all natural products we can find, we created two options for these bar soaps that we think you’ll love. Both of these handcrafted soap bars will leave your skin silky smooth and soft. Our special, non-toxic, natural soap is made with large quantities of soap nuts, but we don’t use soap nut powder that almost all other soap nut soaps use. We use soap nut liquid extract. The powder makes the soap feel gritty. This means our soap has a luxurious feel on your skin with an abundance of lather. The addition of Moringa to our bar soap means you’ll enjoy all the benefits of its healing powers directly on your skin. We add the finest peppermint essential oils for the unique and wonderful candy cane smell. When you are considering which soap is best for you and your family, make sure you understand the difference between essential oils and fragrance oils. Essential oils are three times as expensive as fragrance oils, and that’s why many mass produced health and beauty products contain fragrance oils. Those products can smell great for a fraction of the cost. There’s only one problem: fragrance oils are very toxic and contain known carcinogens. Many of the ill effects of fragrance oils have been well documented. We also make a soap nut, moringa bar soap, with no peppermint for people that are sensitive to odors or just prefer no type of scent. Moringa is packed with 90 different types of nutrients. It contains 46 antioxidants, 36 Anti-Inflammatory Agents, 18 Amino Acids and 9 Essential Amino Acids. Essential amino acids are important because you need them to live and the only way to get them is through your diet. Moringa contains all the essential amino acids. All these add up to give the plant and all its wonderful by-products properties that help fight diabetes, hypertension, and tumors. 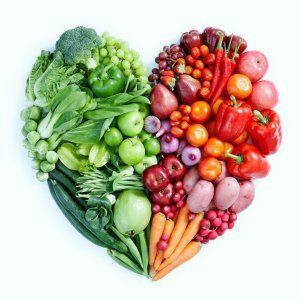 Better health through better nutrition. Moringa is widely grown in Africa, Asia and the Philippines, and has been for thousands of years. Its recent rise in popularity in the United States is easy to understand how many amazing properties the Miracle Tree has. Most people discover that by simply eating or drinking some Green Virgin Products moringa that they suddenly feel more energetic and healthy. Many people find emotional and mental calm, clarity and balance to be an immediate benefit of adding it to their diet, and now you can too! Many of our customers report that they recover faster from exercise, sleep better and have healthier blood sugar levels by eating and drinking the tea or powder (mixed in beverages like juice) daily. Take the next step to a healthier, happier you today with our amazing lineup of the purest, most high potency Moringa products! Moringa Is Great For Pets And Farm Animals Too. Pets just seem to know what is good for them. 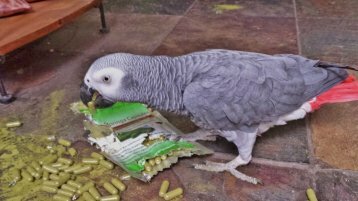 Dogs, cats, birds and even fish are benefiting from moringa. The same things that makes moringa good for humans makes moringa good for animals too. Farmers are finding cows produce more milk when fed moringa. And livestock stays healthier without using antibiotics. I have seen animals just go crazy for moringa. They just love it. It's amazing that animals instinctively know it is good for them. Don't just buy it for yourself, share it with your pet and save on Veterinarian bills. It is not uncommon for people to spend thousands of dollars on Vet Bills. Shop now and get free shipping on all orders $50 or more with hassle-free returns. Use coupon code: 10off – and save 10% on your order today! There’s never been a better time for you to take control of your health than right now!